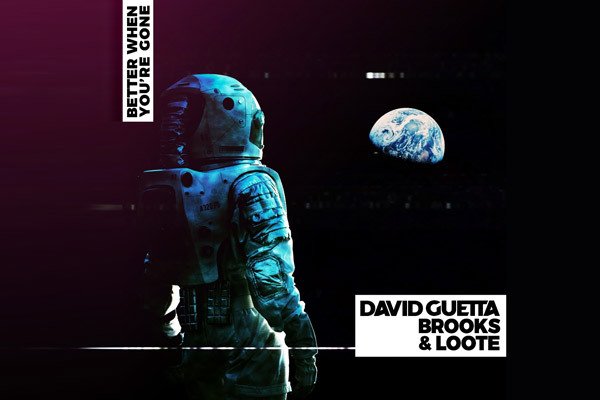 MUMBAI: A year after David Guetta and Brooks combined in powerful force on Like I Do comes the duo’s next collaborative effort, Better When You’re Gone. Written in partnership with New York singer-songwriter duo Loote, it’s another phenomenal piece of work from this dream pairing. It’s an entirely new song, and did not feature on his album 7 that dropped back in September. Loote’s cute melancholy vocal unfolds over shimmering, chorused guitars as the track kicks off, before it explodes into the joyous chorus with a driving beat underpinning it. Next comes the spine-tingling lead riff that bursts into play out of nowhere, building towards the full drop where it dances and prances over chunky beats and phat electro bass. More sorrowful guitars greet us in the next breakdown, setting the stage for the beautiful vocals once again. A stunning production, it’s at once a huge dancefloor hit and a radio anthem. No-one combines the two quite like Guetta and his collaborators! This new single kicks off another huge year for David Guetta, with his upcoming residency at Wynn in Las Vegas in April and May, plus headlining Ultra Music Festival in Miami. Meanwhile, seven has sold over two million copies and the video for Say My Name has picked up over 250 million views in just two months. MUMBAI: Last year, global superstar DJ/producer David Guetta officially announced his Jack Back alias alongside the release of his album 7. Before David Guetta was a household name, he spent his days in the underground scene playing in clubs. MUMBAI: While NGHTMRE is no stranger to playing massive stages, his performance last night at Coachella's Sahara Stage marked his most notable performance yet. MUMBAI: A regular on labels like Dim Mak and Mad Decent, Cesqeaux has also remixed DJ Snake, David Guetta and Afrojack and of course Martin Garrix feat. Khalid’s Ocean alongside Garrix himself. MUMBAI: Revered DJ and producer Junior Sanchez has delivered his fresh interpretation of Arno Cost and Norman Doray’s huge collaboration, Together.